Gambling becomes a problem when you lose your ability to control the impulse to gamble, even when you are aware that your gambling is having a negative impact on your life, loved ones or financial situation. The temptation for “one more flutter” can be easy to give into, after all, one more £5 isn’t going to make a difference in the long run right? If you feel the desire or need to gamble regardless of whether you can afford it, you may have a problem. Luckily, we are the best qualified organisation to get you back on track, and offer a wide range of free options and services that have an extremely high success rate when it comes to fighting gambling addiction. This type of thinking can be very difficult to avoid, especially when it’s become a part of your daily routine, and it’s not hard to see how this can lead to a simple gambling habit becoming a more serious issue. In fact, it’s how most gambling addict stories seem to come about. Needing help for your gambling addiction recovery isn’t something to be ashamed of – in fact the worst thing you can do is attempt to solve it alone. Telling your friends, family and partner can be a huge first step as it makes your problem something that exists in “the real world” as opposed to something you deal with alone internally. 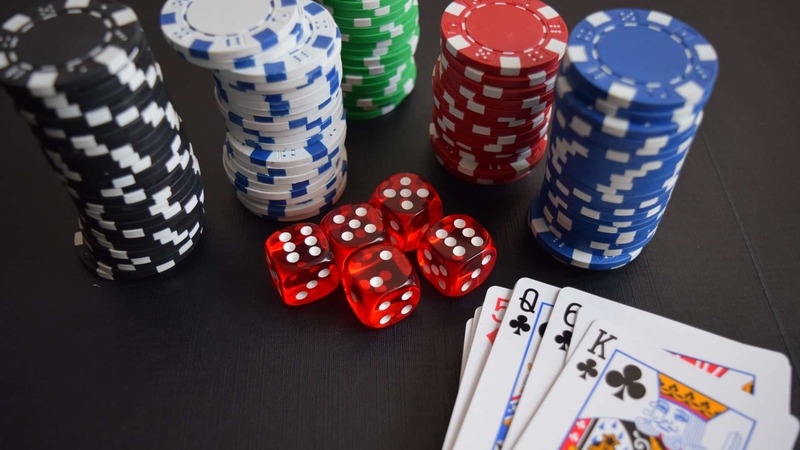 With a gambling addiction, the most important thing for you to do is to get professional help, especially if you are getting to a stage where you feel like you need to gamble with larger amounts of money to get the same feeling. Serenity Addiction Centres employ some of the leading experts and counsellors on gambling addiction, in the UK and worldwide. We have used decades of gambling addiction research, study and development to devise a proven and reliable rehabilitation program that will save you a huge amount of money, stress and heartache. Checking into a rehabilitation centre can sometimes be something that’s very nerve wracking, or maybe you have so much going on elsewhere in your life that you don’t want the disruption. That’s why we also offer a range of free and no obligation services focused on giving you the information and advice about process disorders such as gambling, so that you can make the changes in your life you never thought you could. All of these options come with nothing to lose so if you are struggling with gambling issues, or need any form of gambling addiction advice, there is absolutely no reason not to contact us right now. If you do think you need to be admitted to one of our rehabilitation centres, you can schedule a tour now to learn more about what we offer in a relaxed and worry-free environment. Sometimes you just need to talk through your problems with a friendly and knowledgeable person. We keep our gambling addict helpline open 24/7, and our friendly, highly trained staff are always ready to receive your call. Whether you are looking for your nearest rehab centre, or just want some information on the best services available for you. The most qualified therapists and counsellors in the world will be happy to give friendly and unbiased advice that has been the first step in thousands of life changing gambling addiction stories in the UK and beyond. If you’ve been through our free options and advice above and maybe even called our gambling addiction number, but have decided you need more help and wish to be admitted to rehab, you are in the right place. We have high standard and well equipped Serenity Centres UK-wide, waiting to help you overcome your struggle and get back to living your life as best you can. Serenity Centres are one of the highest regarded addiction and rehabilitation centres worldwide, and are responsible for not only changing, but saving the lives of people going through a wide range of issues. Schedule a Tour now to learn more about your nearest centre and what it can offer. One crippling aspect of gambling addiction effects is the impact it can have on your finances. In fact, if you are struggling with money due to your gambling addiction, this can be something that puts you off trying to get help, assuming rehab centres and detox programs are too expensive. To us, it’s an awful thought that somebody could be unable to get the help they need to change their lives, and continue gambling simply for this reason. But most importantly, we offer a Rehab Clinic Credit Facility, which means if you do need to come to one of our centres, but are worried you might not be able to meet the cost, we will prioritise getting you well, allowing you to worry about the rest when you’re healthy and back to living your best life. Most of our gambling rehab centres also accept Medical Insurance, thanks to our quest to make the highest quality rehabilitation and therapy services available to everybody. If you or a loved one are struggling with gambling, there is absolutely nothing to lose in contacting us or calling our gambling addict hotline right now for experienced and reliable advice.